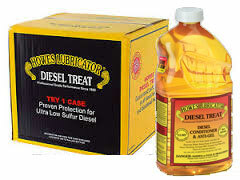 Oil additives are vital for the proper lubrication and prolonged use of almost any application. From engine oil additives to additives for heating fuels, Sourdough Fuel has the products you need. Additives optimize the lubricating performance of base oils. In turn, these optimally lubricated fluids improve the function and longevity of many applications, including diesel engines, home heating units, and more. Find the ideal product in our selection when you visit our bulk plant or convenient store locations throughout Alaska. If you aren’t quite sure which additive you need, our experts are here to help you decide on the best product.